Danny doesn’t want to pay to play Magic, and he doesn’t think you should, either. 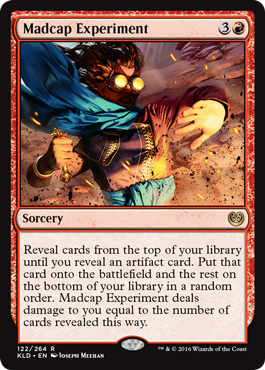 By using common sense, applying basic truisms, and exercising a modicum of patience, he will show you how to maximize every dollar you spend on Magic: The Gathering. Even if you don’t have a huge budget for gaming, with some smart decision making and a little time, you too can afford to build top-tier decks or draft on a regular basis. Danny’s resume includes writing for Quiet Speculation and serving as editor-in-chief for Brainstorm Brewery. He’s a Limited enthusiast with a special fondness for Cube, and has an earnest belief in the inherent superiority of 40-card decks (it’s okay, Constructed players. You’re special, too). Have a question or comment? Reach out on Twitter at @dbro37. I’m looking to expand my cube for the lowest price possible while still getting all the great cards I want. 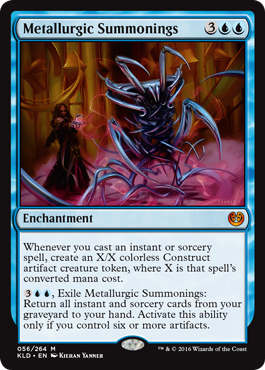 This means I’m not looking at foils, or in this set, masterpieces. If you’re in to pimping your cube, this stuff may be of interest to you, but it’s not the focus today. I’m aiming to pick up cards at close to their lowest price. New cards are usually overpriced due to lack of supply and increased hype, but they almost always go down. As such, I’ll be naming a rough price target—or indicating my willingness to pick up a card at its preorder price (though this is rare). I’ll mention commons and uncommons where applicable, but we’re not too worried about prices here: we’re talking a maximum difference between high and low of a few dollars, and usually only a few cents. Enough intro; let’s look at the cards. Lots of white cards of interest here, but very few slam-dunks. It’s like Vampire Nighthawk but not. 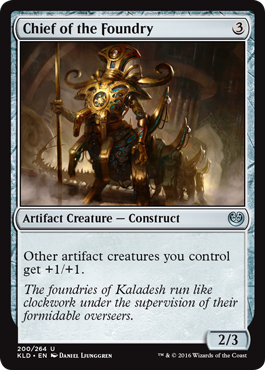 I don’t think this is really going to get a slot alongside identically costed cards like Brimaz, King of Oreskos, but it will probably be plenty good enough for C/Ubes. I’m not especially driven to put cards that use energy into my cube, although a few appear to be good standalone cards. This one is on the borderline of this status, but I don’t feel comfortable fully writing it off until playing with it. At bulk pricing already, if you’re interested, there’s no reason to not pull the trigger now, just in case this actually sees Standard play. 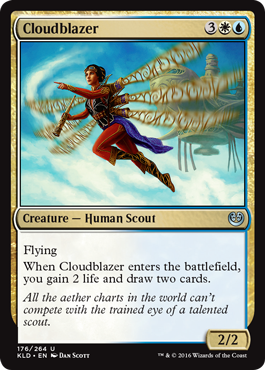 This card isn’t bad at all, but can it replace Baneslayer Angel or Cloudgoat Ranger? 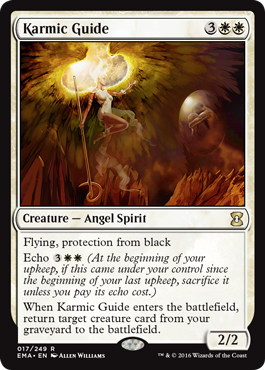 What about Wingmate Roc, Revillark, or Karmic Guide? It’s extremely close on all of these, in my opinion. This is another card that will need testing. At just under $4, this could go either way, though I always lean toward the idea that cards will go down. Keep a close eye if you like the looks of this one. 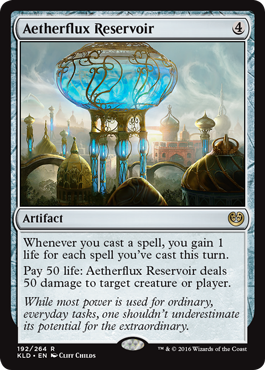 Definitely a cool card, but the question of whether it is worth cutting another of the excellent five-drops in white remains. 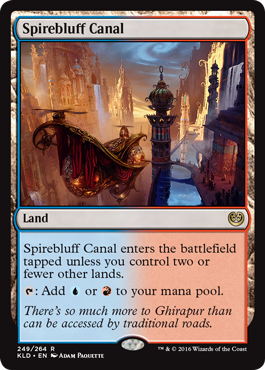 I’d be much more inspired if lands were among the permanent types in the card text. As is, I’m again saying that I’m going to need to see this one in action. 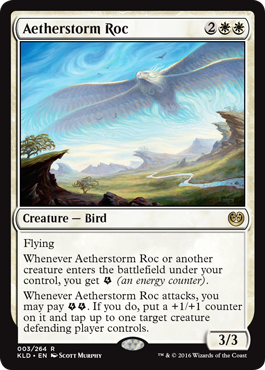 At $6 for mythic, this could see a big price increase if white-based control is good in Standard, but again, I’m leaning bearish. There are infinite good high-drops in the world and only so many slots. 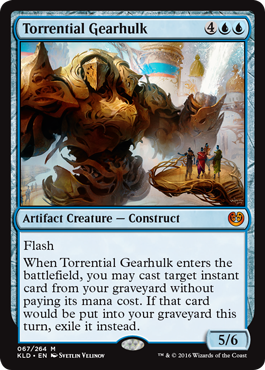 For this reason, I’m aiming to get the Gearhulk cycle in the $2 to $3 range. Unless you’re running shenanigans related to the template change, this is strictly better than Fiend Hunter, which sees play in many cubes. Maybe? Five-mana wraths are bad, but you will sometimes get that extra turn back in life. I’m leaning toward no, but it’s worth a mention. The $2 price is fine, but you should be able to get it for $1 eventually. This isn’t bad in control or aggro. But again, we’re comparing this to the likes of Brimaz and Monastery Mentor. At bulk pricing already, you can’t go wrong getting one for your on-deck binder at least. 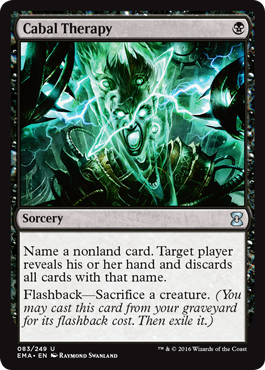 Four-mana reanimates aren’t usually played, but this one is in an unusual color and could be of interest. Then again, I’ve never seen Resurrection in a cube. The threshold to make it into the blue section is extremely high. Let’s see what we’ve got. If you’re running Augur of Bolas or Omenspeaker, you can (and should!) replace one of them with this guy. 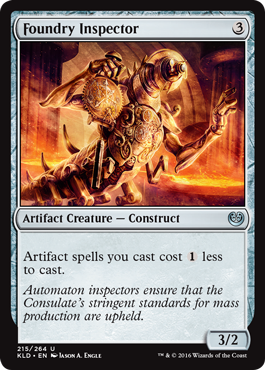 This strikes me as way too slow for cube—it’s a five-mana enchantment that does nothing upon casting—but I can’t deny how sweet it would be to go off with this thing. 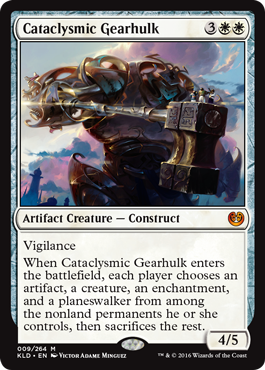 Ultimately, though, this is more likely to be an EDH card than Cube. 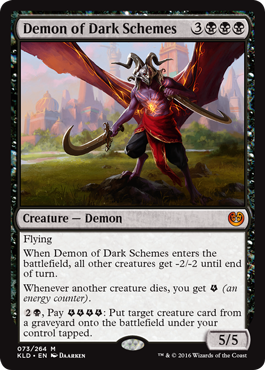 This is a future bulk mythic, so the $2 it’s at right now seems high. Black doesn’t offer a lot for Cube in this set, which is sad, because unlike blue, black needs all the help it can get. 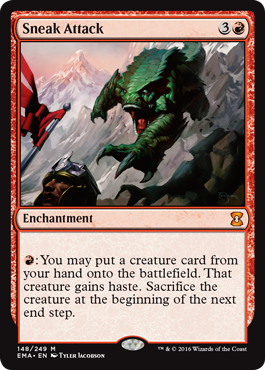 This requires way too much energy to be a good standalone card, and Massacre Wurm just seems more appealing for a similar effect at the same cost. Pass. I didn’t look up its price, but I predict it is a future bulk mythic. 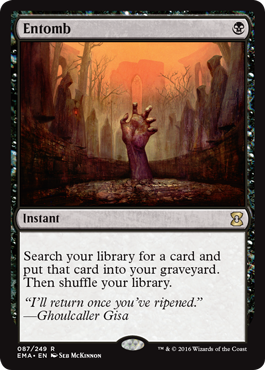 One-mana discard is always worth a look, and this one comes with a scry attached. 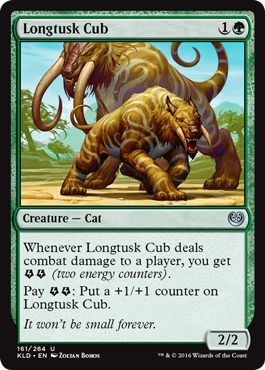 I’m not sure it will make the cut in my cube—it is powered and tries to do broken, often non-creature-related things—but I think this will be a fine inclusion in more creature-focused lists. It’s been a while since I’ve seen a list that includes Dark Hatchling. 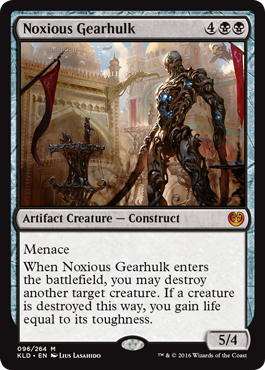 Gearhulk is better that that in several ways, but how does it compare to cards like Grave Titan, Massacre Wurm, and Sheoldred? This is powerful, no doubt, but I’m not sure it outranks anything else black is doing at its top end. I’m definitely waiting to purchase at the current $5 price tag. 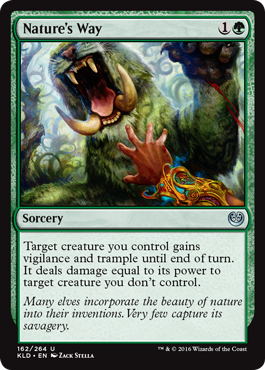 I’ve never seen Tormenting Voice in a cube, and this nets you the same number of cards, but it digs deeper. I don’t expect it to make it into most lists, but it’s worth knowing about. Yeah, this card is nuts. 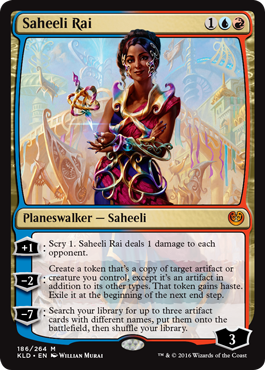 I’ll never buy a Standard planeswalker at its Standard-staple price, so I’m expecting to wait until rotation for this one to make it into my list. 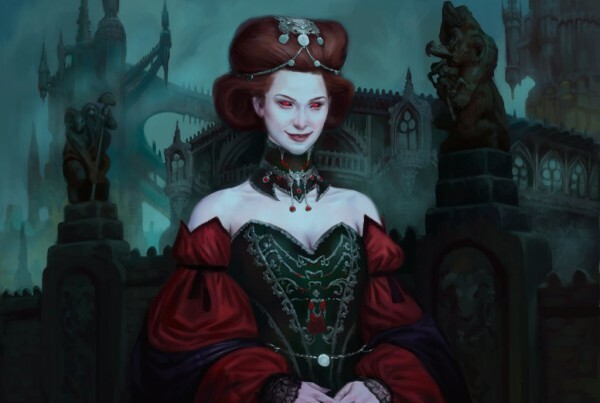 That said, if this starts seeing play in Modern, Legacy, or Vintage (each of which is less likely than the last), we could be looking at a Liliana of the Veil- or Jace, the Mind Sculptor-style always-going-to-expensive planeswalker. Keep an eye out for your opportunity to get yours at the best price, but it’s going to be a few weeks before you really need to start thinking about that. Letting your opponent have choices is never great, but this might truly be a no-win situation for them. Red doesn’t usually include a lot of high-drops, so you’ll have decide whether you want to make space for this. I think it’s definitely comparable in power level to Inferno Titan, though, so I’m willing to give it a shot. All these Gearhulks are around $5, and again, I’m bearish and aiming at $2ish, but I’m also aware of the possibility that any of them could be good and go up. This might be a fun card to have in your cube, but I’m not convinced it’s a powerful one. I’d like to see it played more than I would actually like to play with it. Bulk pricing is appropriate for a pickup here. Mono-red aggro used to hurt for three-drops, but the last few years has really changed that. This is no Goblin Rabblemaster, but it’s plenty playable. I don’t see any reason not to snap one up at 36 cents, where it is right now on TCGplayer. 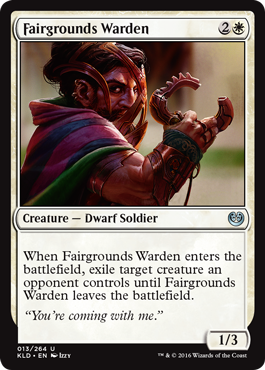 This card does a lot and if RDW is good in Standard, this should be a part of its success. I bring this up just so I can point out power creep. 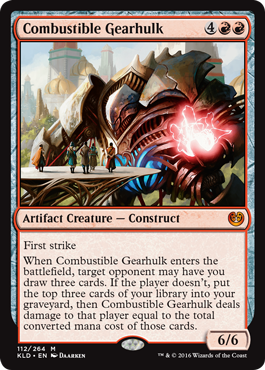 This would have been the money card of the set fifteen years ago or so, but today, it’s not even good enough for Cube. What are you going to take out? Hellrider? Koth of the Hammer? 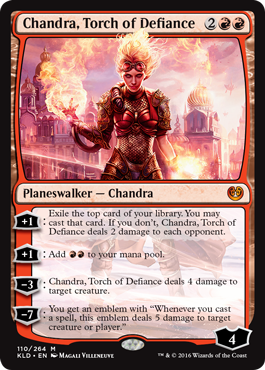 New Chandra? Avalanche Riders? Fiery Combustion? No, there’s no four-drop in red worth removing for this. Not unless you’re already digging deep for that slot. Green is as green as always. This may be the best standalone energy card in the set. It’s only good if your cube supports green aggro (mine does not), but it seems like it could snowball pretty well in such a list. Fight cards (although this technically isn’t one) generally aren’t good enough to make cube lists, but this is one of the more pushed ones we’ve seen. It’s worth keeping in mind if you’re looking for removal in your green section. I’m not really excited by this card, but I have to imagine the power level is high enough to make the cut in most cubes. 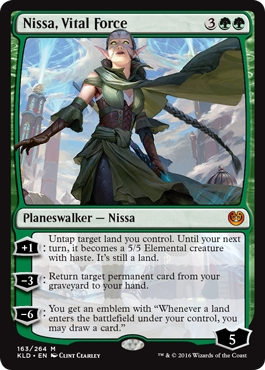 If anything, my concern with planeswalkers is that there are so many playable ones at this point. Before long, we’re all going to be drafting Super Friends. I’m not willing to pay more than $10 for this, and I’d really like to get it for $5. This is like Wolfir Silverheart, except potentially better. 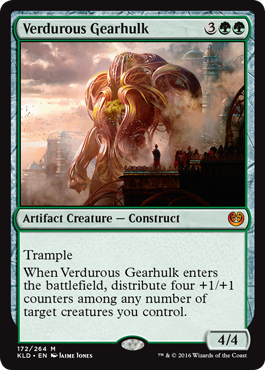 Its design is so boring compared to the other Gearhulks, but this card is pushed. As such, it is about twice as much as the others, and not such a unique ability that I feel rushed to buy. I’m aiming for $2 to $3, just like the other Gearhulks, no matter how pushed. 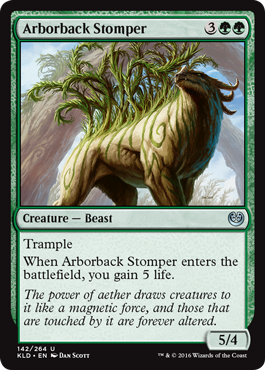 A three-mana Regrowth that can scale up seems worth a look. 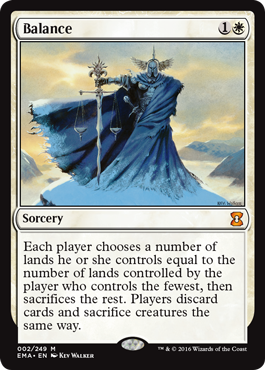 I wouldn’t pay anything more than bulk-rare pricing for it, but I like the card well enough. 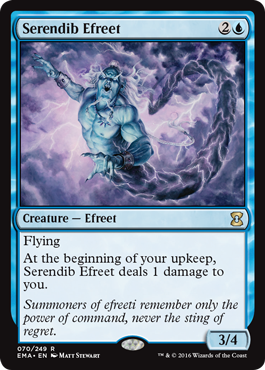 I’ve first-picked Mulldrifter enough to know that this card is great. 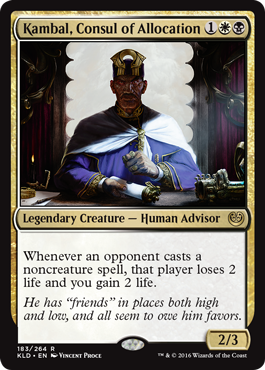 Azorius has a lot of very good choices for Cube, so some owners will have trouble making space, but this is clearly good enough based on power level. Ugh, another Azorius card to make space for? 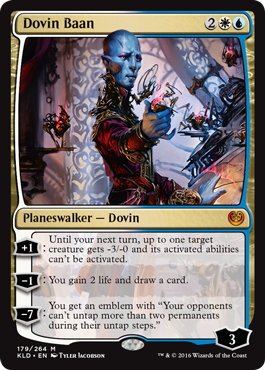 This is a planeswalker that draws cards and protects itself. What more could we want? A better price, that’s what. I’m looking at $10 or less. This is cute disruption for WB aggro to play against spell-focused decks (did anyone say Storm?). 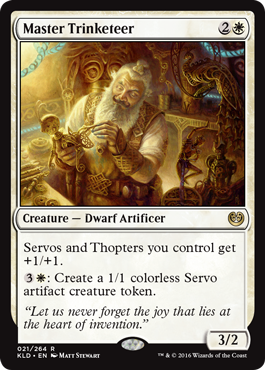 I’ve found Orzhov to be pretty shallow compared to other color combinations, so while I’m not super convinced this will be good enough, it’s worth more of a look than it might otherwise be. Definitely a card to pick up for bulk pricing and not a penny more, though. This card is awesome and it gets a slot. The end. At around $4 right now, I’m not opposed to picking it up right away, but I could see it as a $2 card if Standard players eschew it. I don’t think this is a very good card, but at three mana, it could be a lot better than it looks. Izzet is the deepest color combination for Cube, so clearing a slot could be a serious issue. I don’t consider this planeswalker to be worth buying for anything more than $5. I don’t have enough artifact creatures in my list to make this good, but maybe you do? 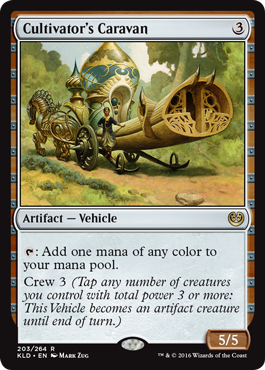 I don’t think vehicles look especially desirable for Cube, but there are a few with decent payoffs. 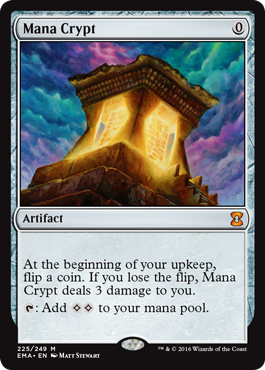 Three-mana rocks usually have to offer something a little extra to be playable in Cube (think Coalition Relic, Worn Powerstone, and Pristine Talisman), and this might be enough to fit that category. At less than $1, it’s certainly not finances that should keep it out of your list. It’s like a less-good Solemn Simulacrum, which is still quite excellent. This is getting a slot. Having trample just might make this good enough to include for aggro. The crew cost is pretty low. I don’t know. 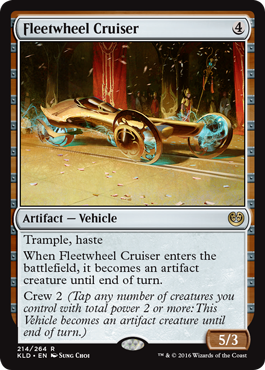 Having not played with vehicles yet, it’s hard to say whether they have any hope of being good enough for Cube. 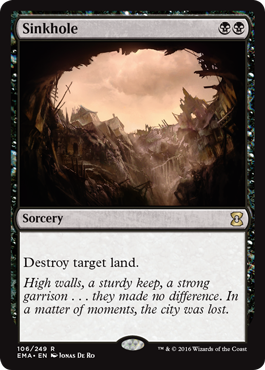 This will definitely be an area of focus for the prerelease. Maybe? Certainly if you’re supporting any type of metalcraft or affinity archetypes. 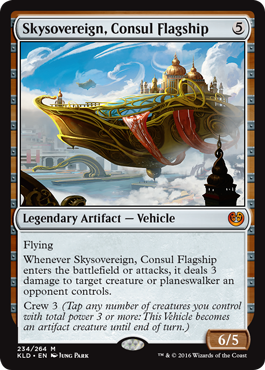 This pays you off for playing it and for paying the crew cost, so I suspect it is the most playable of the vehicles for Cube. Again, I’m not convinced on vehicles at all, but this is the closest. I can’t say if $5 feels like a good deal until I play with it, or at least vehicles in general. These lands are great and I’m thrilled to complete the cycle. 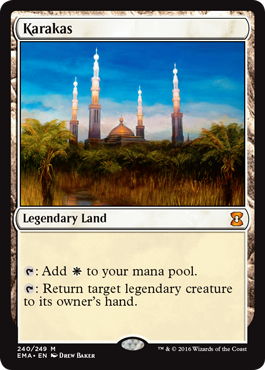 I think they’re better than the M10 lands, which are currently in my list, so there’s a future upgrade to look forward to. The Scars lands all got to the $5 to $8 range during Standard, with Seachrome Coast hitting $20 as UW Delver dominated. 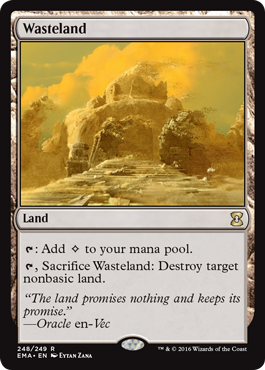 Lands these days seem to settle in at a lower price, though. Maybe that’s power level, maybe it’s player interest, maybe it has to do with commonality. In any case, I’m aiming for around $3 each for these, but I’ll pay $5 if I have to. 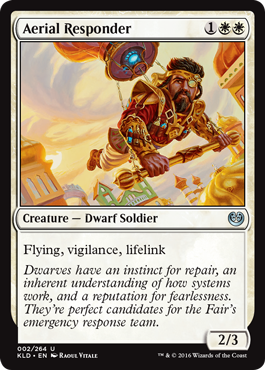 This seems like a reasonable inclusion, especially if you’re trying to support some of the colorless mana cards from Oath of the Gatewatch. 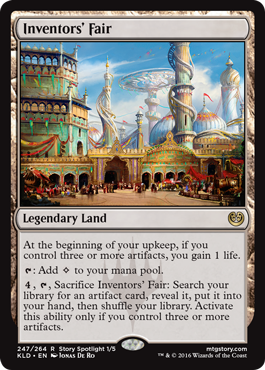 Lands that do things are great to include if you can find a slot for them, which will be the real trick for something so marginally okay. That’s it, I’m done. Comments, questions: you know what to do. Reprint sets remain a special conundrum for cube owners. 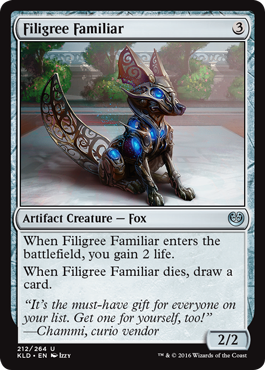 On one hand, they provide access to cards we don’t yet have, introduce alternate art and a new frame for many cards, and print foils that did not previously exist. On the other hand, for cube owners with relatively well-developed lists, these sets can potentially reduce our cubes’ overall values without offering a lot of perks. Now add to this the fact that not a single one of these cards is new. If you don’t own a copy or it isn’t in your list, that’s likely either a conscious cube design decision or a matter of money. 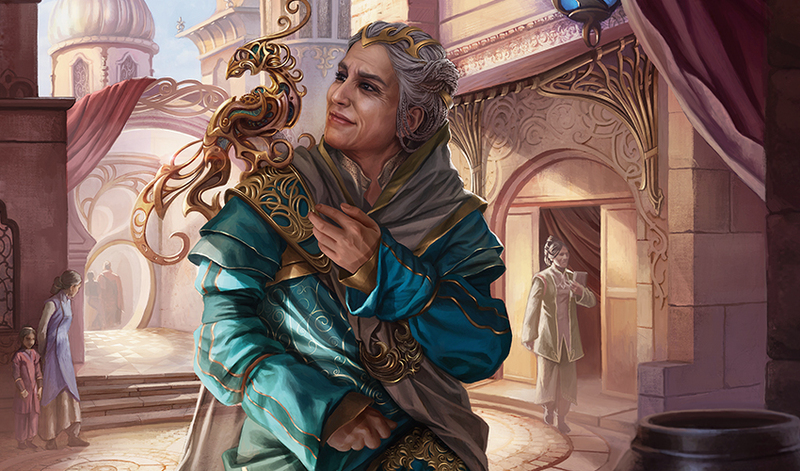 It’s the money-restricted cards that should, of course, be the most on our radars when a set like Eternal Masters is released, as now may be the best time in years to snag our copies. I’m going to go through each of the relevant-to-Cube cards in Eternal Masters today, grouped by price category. First, though, let’s talk about value lost. You probably already know that you’re late to the party with selling off pieces of your cube in anticipation of reprint announcements. 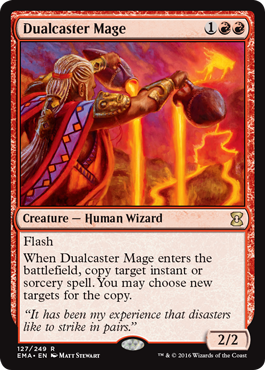 Based on the limited lasting price impact of the first two Modern Masters sets, I chose to completely ignore any potentially adverse effects EMA reprints could have on my cube, and now that the set is fully spoiled, I feel more or less okay with that. The fact is that my cube, like most, has only one copy of each card, so unless Wizards just borrowed my list from Cube Tutor and reprinted it as a set, it’s unlikely that I was going to get completely blown out. Still, if you’re really worried about losing value, you could take a look at the most expensive cards in the set. The top tier of these ($50 or more) consists of Mana Crypt, Karakas, Force of Will, Jace, the Mind Sculptor, and Wasteland. The next tier of value ($30-ish) includes cards like Sneak Attack, Vampiric Tutor, Natural Order, Sylvan Library, Dack Fayden, Sensei’s Divining Top, Maze of Ith, and Entomb. Pretty much everything else in the set (and some of the above cards as well) will end up below $20. Mana Crypt seems to me to be the card most at risk to lose significant value. 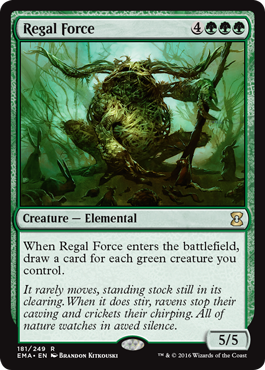 It has only been printed as a promo previously and is in the conversation with Moxen as far as power level goes. 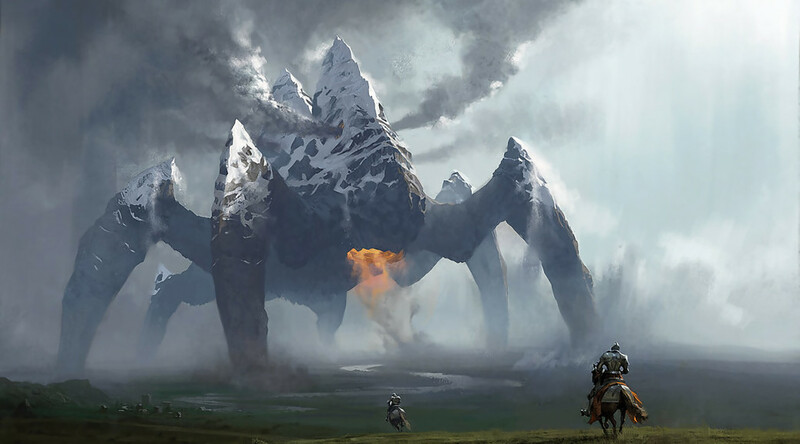 Being banned in Legacy means that there won’t be four-of demand, however, so this set could be adding a big relative number to the supply with only one-of demand from Cube, Commander, and Vintage players. I’ll tell you what I did: had @TheProxyGuy make me a high-quality replica that I don’t have to worry about being stolen, destroyed, or reprinted into oblivion. If you own a real copy? It might be worth locking in some profit, but again, you’re late to the party if you do that, and it’s very likely that the price will rebound nicely after some time, even if the card does lose a lot of value. It’s going to come down to a personal decision based on what you paid, your attachment to your copy, and how much you value your time. Besides Mana Crypt, the rest of the above cards have demand from enough places that I’m not really worried about major price drops. Yeah, they’ll all probably drop the median a bit, but history suggests that the effects will be minor and brief. Enough talk of cards we already have—the real fun of new sets is getting to pick up cards we don’t yet have. As a cube owner, you should be going down the spoiler for EMA to mark down cards that you don’t own but may want in your collection. There are tons of Cube-playable cards in this set, and many will be available for less now than at any point in the last several years. Even if a card won’t make your list right away, it’s always worthwhile to keep an “on-deck binder” to hold copies of cards that are potentially playable in your cube but just aren’t getting a spot right now. We already went over the top two tiers of value, but let’s quickly list everything that you may want to keep your eye on. For tier-one cards, I’m not convinced we’ll see them bottom out until after EMA is released and has been drafted for a few weeks or more. I don’t expect the floor to last long, though, so if you’re looking for any of these cards, keep a close eye and make your move when it looks like the descent has stopped. These are cards that are all 1) Legacy- and (in some cases) Vintage-playable, 2) old and underprinted, and 3) have varying levels of demand from Commander and Cube. These could go a number of ways. Maybe their lack of supply was the biggest limiting factor before, and prices are bound to drop now that the market has a new injection of copies. Maybe players have been waiting to get these for slightly lower prices, will buy up the supply quickly, and the prices will basically stay the same. 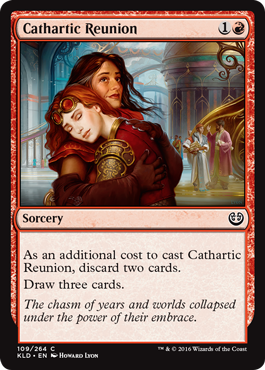 Because I don’t believe this set will actually push anyone into playing Legacy or Vintage, it’s hard for me to imagine a world where so many new players are created from this set that the prices for these cards go up. I suspect that none of the tier-two cards are going to move more than a few dollars in either direction, but there will likely be one or two exceptions. Only five cards in the set currently reside between $10 and $15, and the three marked with asterisks are, in my mind at least, not really cards I would consider for Cube. 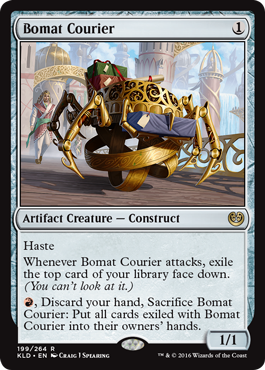 Sinkhole is the closest, especially if you have a Pox theme in your black section, and Enchantress builds are a thing in some cubes, but not many that I’ve seen. Chrome Mox and Enlightened Tutor are both powerful cards that are very niche, so I could see them dropping significantly with the increased supply. Wait a bit before moving on these. Here’s the level where we really are beginning to see price hits. Most of these cards are available for a few dollars less than they were before reprint season, and once packs actually start getting opened, I wouldn’t be surprised to see them drop more. 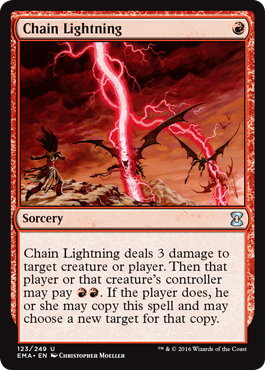 Cabal Therapy and Chain Lightning are both being printed at uncommon, and that makes me believe that the current prices are way too high. 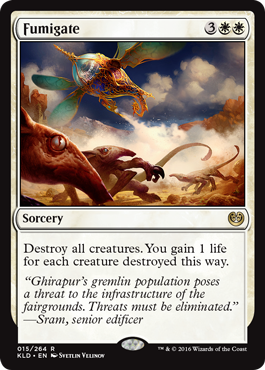 I expect these to drop to $3 a la Spell Snare and Kitchen Finks in Modern Masters 2013 before beginning their inevitable ascent back up. Hold off on these for a while, as the floor should be lower than a lot of the stuff we’re looking for. 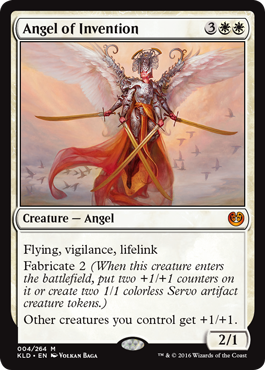 Vindicate seems like a steal for below $10, and everything else in tier four I do not expect to stay down for long. Many of these prices seem downright attractive compared to what we’ve been seeing pre-reprint on these cards, but the prudent play is to wait for packs to actually start being opened to allow the increased supply to drive prices down a little more. Color me surprised that Wall of Omens has gotten so high! I must have picked up my cube’s copy right before it went up from $2. 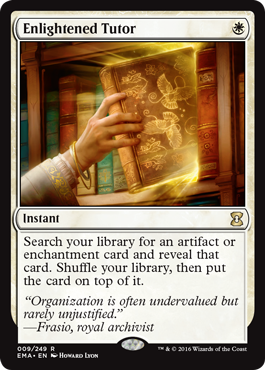 Again, being printed at uncommon makes me think that this will lose more value than most of the cards at its level, so hold off a bit longer than you might otherwise. For everything else, we’re getting to the point where if you didn’t have it before, it was likely for reasons other than money. Any of these cards could drop a dollar or two after release, but somehow I doubt price is your concern if you don’t include these in your cube or on-deck binder. So now we’re really at a point where price shouldn’t be the reason that you don’t own these cards. These are not cost-prohibitive cards, so you either just haven’t gotten around to it or you actively don’t want copies. Yet again, the commons and uncommons should take the largest hits here, so wait the longest on those pickups. Everything else is unlikely to drop much further, but I wouldn’t be surprised to see this influx of supply be the thing that forces some of these cards to bulk-rare status. Truly, if price has kept you from owning any of these cards, you should probably reconsider whether Magic is the right hobby for you. All of these should be in your on-deck binder, if not your cube itself. Since every cube is different, I can’t tell you exactly what you should buy or sell, for how much, or when. You may value finding the best possible deal on a card or finding the most rare, premium version of everything in your list. I don’t know what you own already, what you’ve been waiting for some outside influence to buy, or if there’s a card you hate and would never include in your cube. I’ve provided an outline of basically every Cube-playable card in the set above, but by way of example to outline my thought process, let’s close today with a bonus section. 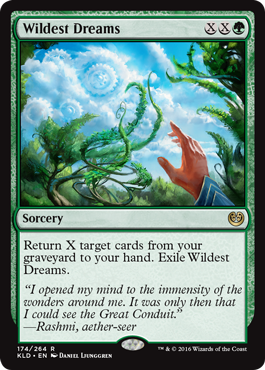 I can’t imagine having a spot in my cube for this any time soon, but I still want an on-deck copy in case Reanimator ever becomes good through some new card or something. Still, this is low on my list and I’ll be targeting it at not much more than $1 (copies are currently around $3). The card disadvantage tutors aren’t my favorite spells, but they do serve a purpose. 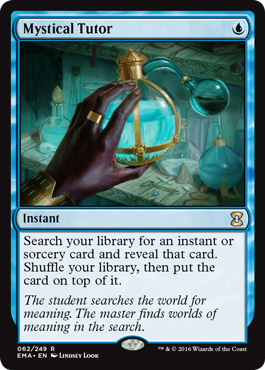 Still, despite its Vintage-playability, Mystical Tutor is one of my least favorites of this cycle, so again, I don’t expect to find a slot soon. As such, I’ll be targeting this currently $7 card for around $3. 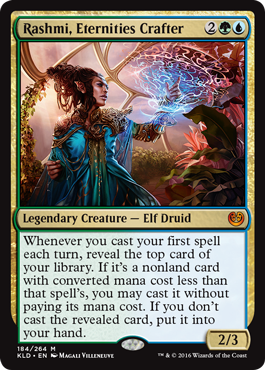 I constantly flirt with the idea of blue aggro in my cube, and this will be a necessary addition if I go that route. The only thing that’s kept me from owning a copy by now is that there were three copies available, and they were 1) Extremely expensive (Arabian Nights), 2) A From the Vaults foil (ewwww), and 3) Misprinted with the wrong-color border. I kind of like the misprinted version, but I was afraid of confusing less-experienced drafters. I’m glad to finally have a cheap, non-foil, correctly printed version of this card. I don’t see this in a lot of lists, but I’d like a copy for my on-deck binder should I want to include it someday. Price has been the primary problem up until now (I hate to spend so much on a card that isn’t even immediately going to be played), but I’ll be happy to snag a copy for $3, which I expect to be possible given the uncommon printing here. I don’t think that dedicated Reanimator is very good in Cube. 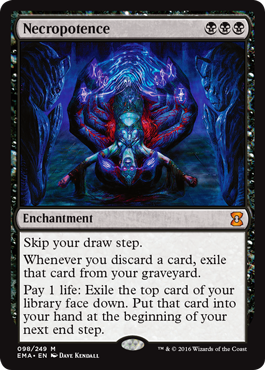 Cards like Animate Dead and Reanimate are great because they can provide value in decks not necessarily all-in on the strategy, but a card like Entomb serves the one and only purpose of turning on Reanimator. I like to include cards in my cube that are good in multiple archetypes, and Entomb is not that. All that being said, it is a staple of its strategy, and I do often adjust my cube’s archetypes, so I’d like to have a copy available. I just didn’t want to pay more than $20 for a card I may never use. If it drops below $10, though, I’ll pay that for this card I may never use. 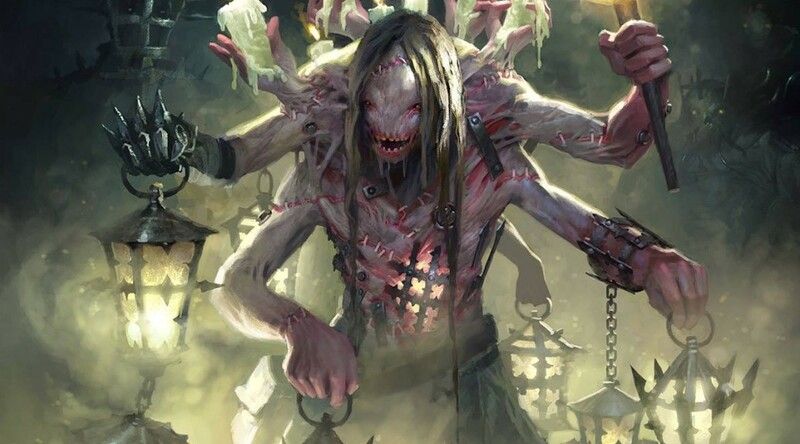 The original printing of Necropotence is up to around $13, which is crazy when you consider how unplayed the card is in basically every format. 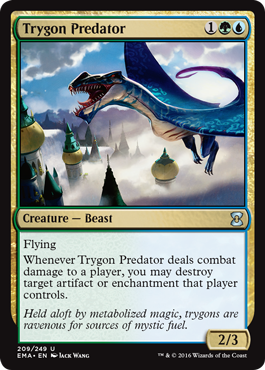 Even LSV can’t find good things to say about this card in Cube. For history’s sake more than anything, I wouldn’t mind having a Necropotence in my on-deck binder, but I really don’t feel like paying more than $3 for it. That’s an awfully aggressive target price, I realize, but the alternative—simply not buying a card I will likely never play—is completely acceptable to me. I like to have a deep bench when it comes to black cards, because black is largely considered to be the worst color in Cube. 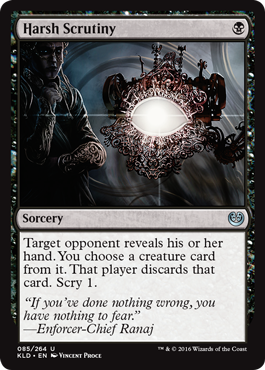 Therefore, when somebody breaks the format and figures out how to actually make black good, I want to have whatever cards are necessary on hand to make that happen. That said, I’m not even sure what target price on Sinkhole would be appealing to me. With the cheapest paper copy costing around $25, I can see objectively that $10 would be a steal, but I’m not sure I’d pull the trigger even there. This is a big question mark for me. 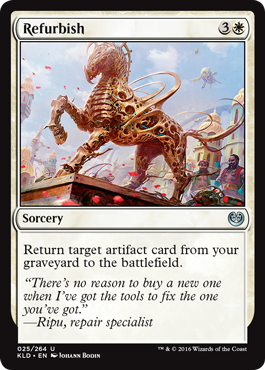 This card has long been in the in-between zone where it’s too cheap to bother having a high-quality proxy made but too expensive to actually pick up a copy. 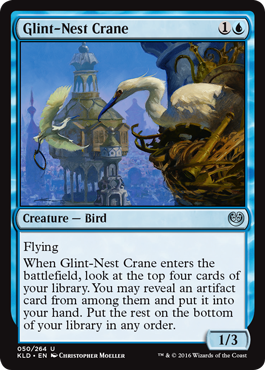 Still, I support this archetype in my cube, so I really should have this card. I’m hoping it will drop as low as $20, though I’m not especially confident of that. I’ll pull the trigger at $25 or $30 if I need to. I’m pretty sure that this has been outclassed by five or ten better fatties in green, but I’d still like a copy available. EMA copies are already a third of the price of the $13 Eventide copies, but I greedily want this for $2 or $3. We’ll see. The only reason I didn’t have a proxy of this already is because I have never really felt like I could make a slot for it. I expect that should I want a copy, a proxy will remain preferable to the still-very-high price this will have once everything has settled. 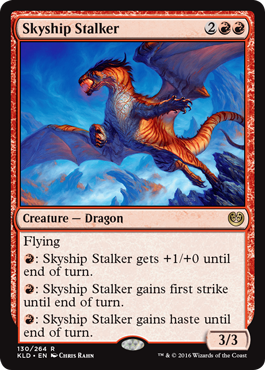 If it drops way more than I’m expecting, though, I’m all too happy to have an actual card rather than a proxy. It would have to be a serious price drop, however. I learned from the first two Modern Masters sets that it is shortsighted and unnecessary to freak out about Cube cards being reprinted. We’re not Legacy players, holding four or eight (or more!) copies of Force of Will and Wasteland and other staple expensive cards. Yeah, our cubes might lose some value, but cards that weren’t reprinted are already going up, so as a whole, we’re going to stay around where we were. And after some time, it’s very likely that most cards that do drop will end up around where they started. All that being said, with the right approach and timing, we can pick up new cards or upgrades to cards we already own for relative bargain prices. I’ve outlined many of the cards you should have your eye on in this set, as well as gone through my thought process for cards that I personally will be looking to pick up. Finally, I shouldn’t need to tell you this, but just to be clear: don’t buy booster packs of Eternal Masters. If you need explanation as to why, please see…oh, the entire spectrum of Magic finance content on the internet. If you have any questions, comments, or suggestions, hit me up on Twitter at @dbro37. Until next time! Each new set, I like to review the cards in it with a very specific objective in mind: find the cards I might want to play in Cube. Because prices are so hyped in the early days of a set, I almost always just note the things to watch and don’t actually pull the trigger on a purchase, but every once in a while, something sticks out as too inexpensive to pass over. We’ve got a lot to cover today, so let’s stop wasting words on introductions and get to the cards.